Discussion in 'Gambling and Betting Forum' started by ezflyer, Nov 15, 2015.
pretty solid lineup here, actually. Gotta favor Foster here, right? Ricci is my B pick. is this potentially 3 fights in one night? anyone have the info on this? Foster being a go-for-broke kind of guy who doesn't take fights deep into the 3rd was a major factor in why I think he'll take it. He can stay fresher. wonder what kind of lines we'll get for this event. will we get tourney odds? mid-event odds when second round starts? Are they three rounders or two? I'm thinking hard about the under 1½'s on these quarter-final tournament fights if and when the other two lines from the reshuffled bouts come out. 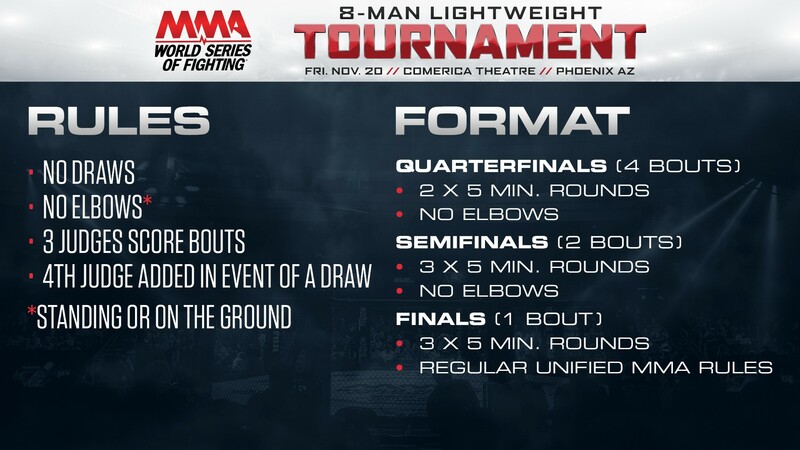 Looking back at the Battlegrounds MMA tournament last year, every preliminary bout ended under 1½. And now two of them have new opponents. Like betting all Unders? Not looking at each fight? All the unders in the four tournament and the now one reserve bout at least. I don't hold a lot of confidence in handicapping these two round fights as far as distance of the bout. I think the fact that it's a one night tournament could be as much or more of a factor than these guys' historical tendencies. for the proficient under/over players..
is foster/zefer u1.5 -150 any good?